Hello, 2019! It’s a new year which means new, opportunities and challenges. In a recent article titled “How to Transition From a Corporate Job to Being an Entrepreneur,” I shared my journey on how I was able to ditch my 9-to-5 corporate marketing job and start up my marketing agency along with actionable tips for anyone who’s contemplating on making the career leap. However, starting a business and staying in business are two different objectives in their own right. Defined as “the force that keeps an object moving or keeps an event development after it has started,” momentum is a mindset. 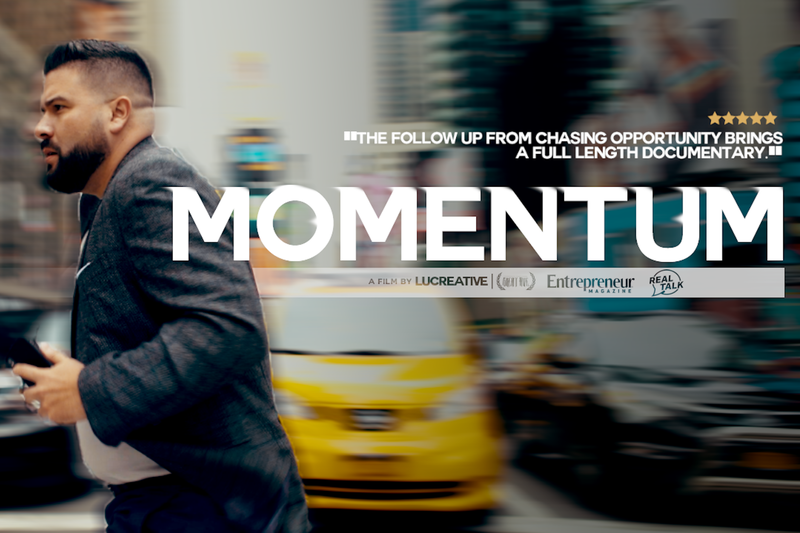 Whether it’s working your network for an introduction to a company that you would like to do business with or attending an industry conference and coming away with potential new business leads, momentum is the fuel that keeps your entrepreneurial spirit moving forward. In the video above, I share an inner-glimpse of what a 24-hour business trip in New York City looks like along with a mentorship call that I had with a 22-year entrepreneur who’s just getting started on his journey. The phone call in itself was my momentum to carry me to the next meeting or interview and so forth. As such, throughout the last year or so that I’ve been working towards growing my business, it’s been the momentum from speaking at conferences to expanding my network and putting out content digitally that’s kept my business thriving. Whenever I attend or speak at a conference, I typically walk away with two hands full of business cards and which makes it hard sometimes to remember whom I talked with and about what which is why following up with a LinkedIn connection request and short email or note thanking that person for their time is critical. Also, if you’ve scratched the surface with talking shop, it’s a must that you follow up while the conversation is warm and top of mind. Like you, your business prospects are busy and will forget you as fast as they met you if you don’t follow up. The same tactic applies to prospects you spoke with at some point last year, now’s a good time to touch base and follow up to see if budgets have changed or if they’re in a position to move forward with your proposal. The point is, following up is more critical than how you show up. 2. Rely less on social media and more on face-to-face meetings. Although I’m an advocate for leveraging social media to build one’s brand, the reality is that business isn’t conducted exclusively through social media posts or direct messages especially if you’re selling services and are business-to-business. Go “old school” and have more in-person meetings this year with decision makers if you want to grow your business quickly, however, tap into social media for prospecting (tip: leverage LinkedIn to identify potential clients) and to increase awareness. 3. Document your experiences to expand your following. If growing your brand is a focus this year, start by creating content about an experience that impacted your career and what you learned as a guide to teach others. Your story is a competitive advantage because it’s unique. Tap into free platforms such as Medium to grow your industry thought leadership by writing blog-style content and sharing it across your social channels as well as YouTube and Instagram to share vlog-style stories which done consistently will grow your following and opportunities which will follow. 4. Keep moving forward, even when you’re knocked down. The reality is that you won’t always close a deal that you worked hard to pitch and you will hit obstacles along the way however you need to stay focused on the bigger picture of what your long-term goals with and how your short term wins help get you there. It is easy to get discouraged and slowed down because of bad news. Therefore, the quicker that you can accept every missed opportunity (i.e., “failure”) as a learning opportunity your momentum won’t be affected. 5. Pay attention to who’s paying attention to you. As you produce content look closely at who is engaging with you. Those hearts and likes have real people behind them unless you’re paying for bot engagement which is why you should take a few minutes daily to click-through the profiles of your followers and those engaging with your social media posts. Throughout the last year, I’ve been able to land new clients for my speaking business and agency as a result of Instagram post content just because I took the time to observe who was engaging me, read their bio, and follow-through which brings me right back to the first point.